The Silicon Valley/San Jose Quality Inn is conveniently located in downtown San Jose, CA, the Capital of Silicon Valley, and home to the San Jose International Airport (SJC). 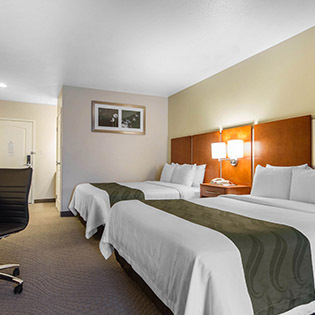 Whether traveling to San Jose, CA for business or a family vacation, Quality Inn Silicon Valley/San Jose delivers comfortable accommodations, impeccable services and state-of-art amenities. The Quality Inn Silicon Valley/San Jose is within close proximity to the San Jose McEnery Convention Center, restaurants, attractions and shopping. Guests enjoy the hotel's complimentary airport shuttle to and from the San Jose International Airport, along with the Park, Sleep, Fly Package. 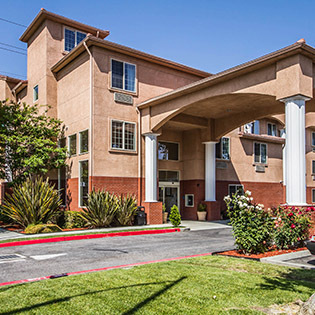 Quality Inn Silicon Valley/San Jose is also located near the Great Mall of the Bay Area, San Jose Sports Center, museums, Santana Row, The Winchester Mystery House, numerous golf course, Northern California wineries and the City of San Francisco. Guests also enjoy the convenience of Avaya Stadium and Levi's Stadium nearby. Guests will enjoy many full-service amenities at Quality Inn Silicon Valley/San Jose, CA including a complimentary hot breakfast buffet, complimentary high-speed Internet, complimentary on-site parking, USA Today newspaper, complimentary business center and a well-appointed fitness center. 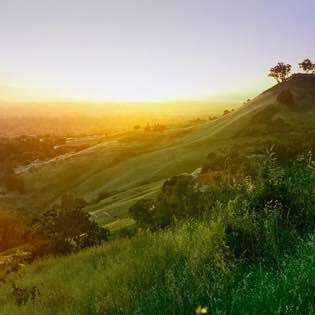 Set within a warm Mediterranean climate zone in Santa Clara County, San Jose, CA enjoys warm, sunny weather having one of the mildest, year around climates in the United States. The next time your travels take you to Northern California, the Quality Inn Silicon Valley/San Jose, CA is the choice location for both the business and leisure guests.